We would like to thank all the participants who made our 2-day seminar a success! We hope everyone was able to learn more about the application of Geogrids, Sheet Piling, and Percussion Driven Anchors and how it can help improve future developments across the country. Thank you very much and we look forward to working with you on your ongoing and future projects! 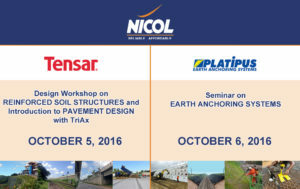 This workshop is a great opportunity for the attendees to learn more about the new technologies FW Nicol uses for Road Design, Sheet Piling, and Slope Protection using Earth Driven Anchors. Our speakers aim to provide both background information as well as an understanding of established and current design methods for you to appreciate the different solutions we can provide. 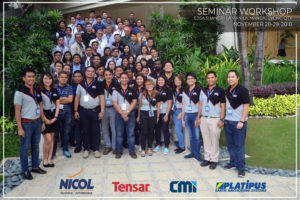 FW Nicol, together with our key speakers, intends to highlight important goals to provide reliable and affordable products while being globally competitive in the industry. 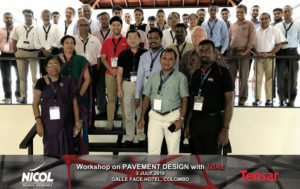 Thank you for making our TENSAR Workshop on Pavement Design in Sri Lanka a Success! 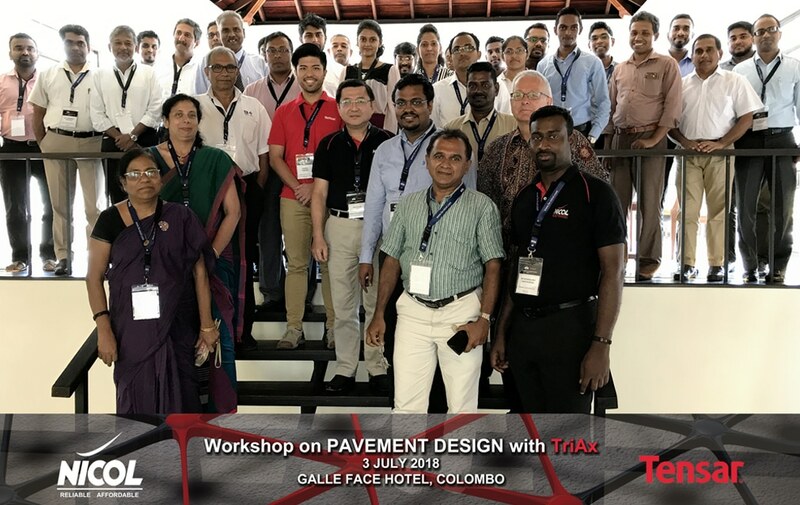 Thank you very much for attending our Tensar Workshop on Pavement Design last July 3, 2018 in Sri Lanka! It was a big success, and your participation meant a lot to us. This is a huge step in familiarizing how the Mechanical Stabilisation Concept works with the application of Geogrid in Road Design. We look forward to working with you on your ongoing and future projects! 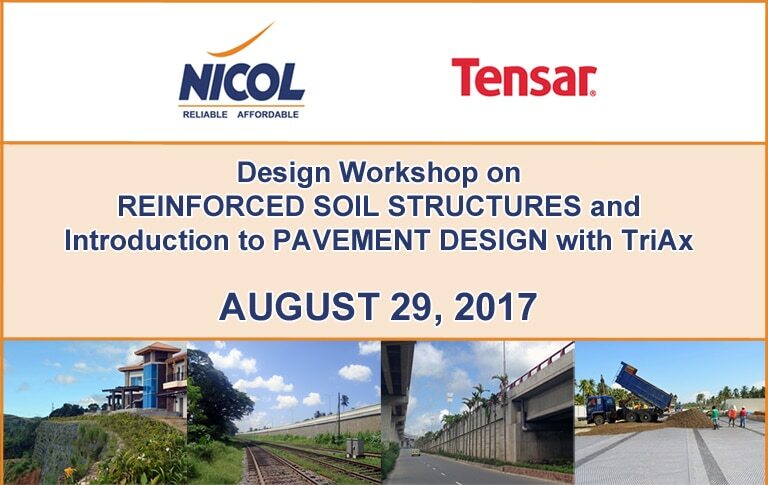 FW Nicol Lanka (Pvt) Ltd. will have an upcoming design workshop on the Application of TriAx Geogrid in Road Design on the 3rd of July 2018 at the Galle Face Hotel, Colombo. 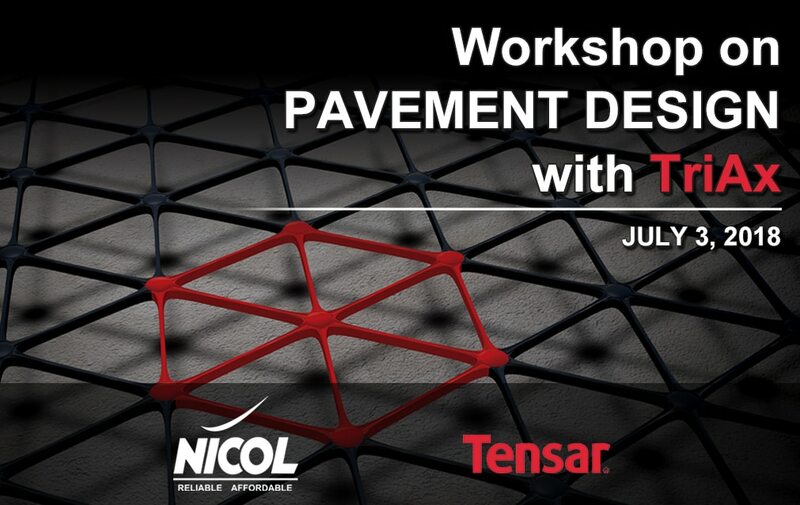 The workshop, led by a professional from Tensar, aims to provide both background information as well as an understanding of established and current design methods in subgrade stabilisation and road pavement design using Tensar TriAx Geogrids. 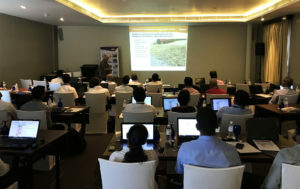 The participants will also learn the processes of the software through hands-on operation of the computer program: TensarPave. 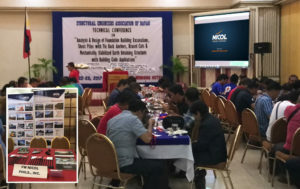 The event intents to familiarize the attendees with principles and design inputs of the design methods for the above applications while highlighting key points on how to be globally competitive with the use of reliable and affordable products. 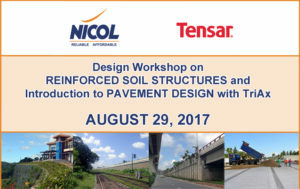 FW Nicol Lanka (Pvt) Ltd. will be conducting a design workshop on Reinforced Soil Structures on 29 August 2017 at the Galle Face Hotel, Colombo. 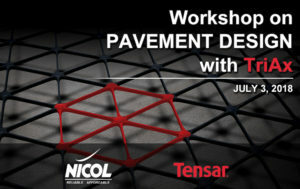 The design workshop will also provide an introduction to pavement design using TriAx geogrid. This one-day event will give participants an opportunity to refresh and gain knowledge with the latest systems, software, and technologies used in civil works applications. The design workshop, led by an expert speaker from Tensar, will highlight the important goals to be globally competitive in the industry using reliable and affordable products. 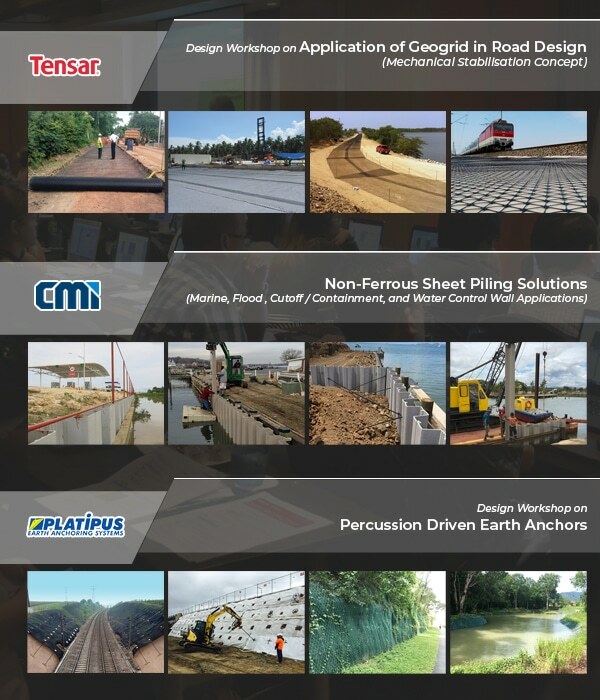 Looking for reliable and affordable solutions to your geotechnical problems and civil works? We supply and provide design and installation support for a variety of geotechnical products and construction equipment that can be excellent choices in solving your problems. 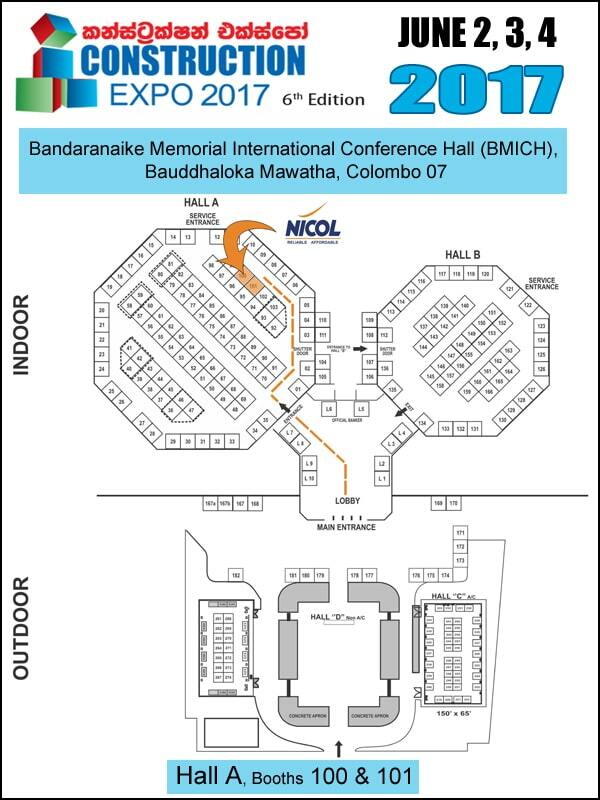 For a demonstration and detail discussion of our products and solutions which might save you time and money, come visit us at the following exhibitions! 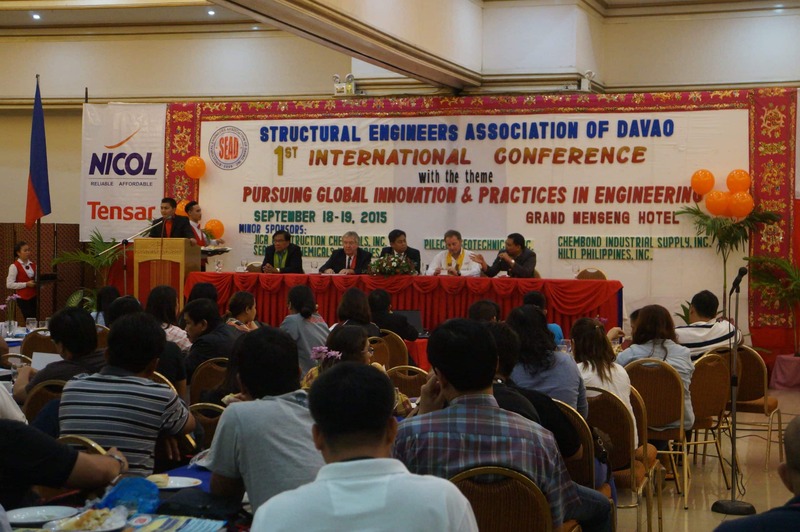 This year, FW Nicol Philippines, Inc. was invited again as one of the sponsor to a well-known conference in Davao, organized by the Structural Engineers Association of Davao, Inc (SEAD). 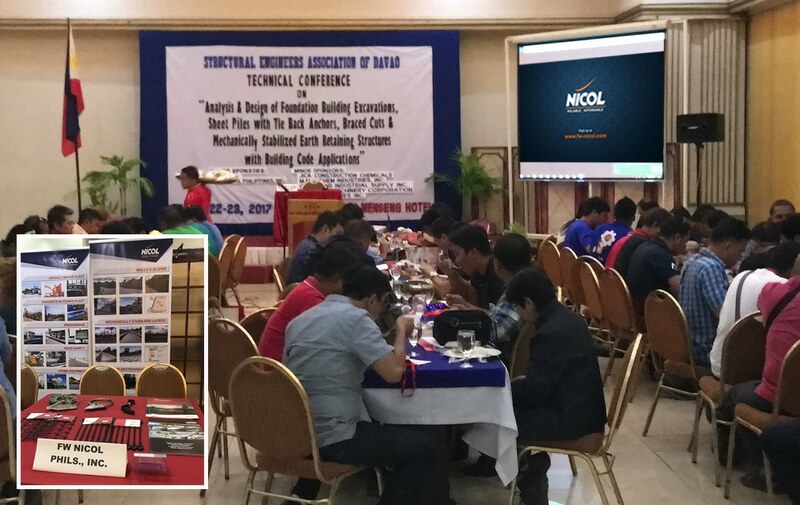 The technical conference focused on their theme which is “Analysis & Design of Foundation Building Excavations, Sheet Piles with Tie Back Anchors, Braced Cuts & Mechanically Stabilized Earth Retaining Structures with Building Code Applications.” It was held last 22 – 23 March 2017 at Grand Menseng Hotel, located in Magallanes St., Davao City. 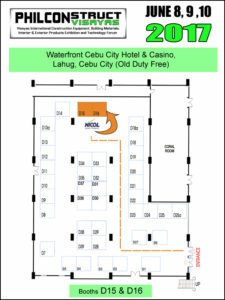 Our booth featured our renowned and newly acquired products which are applicable to the theme of the seminar. We presented the previous and recent projects done using our products which showed their reliability and affordability. 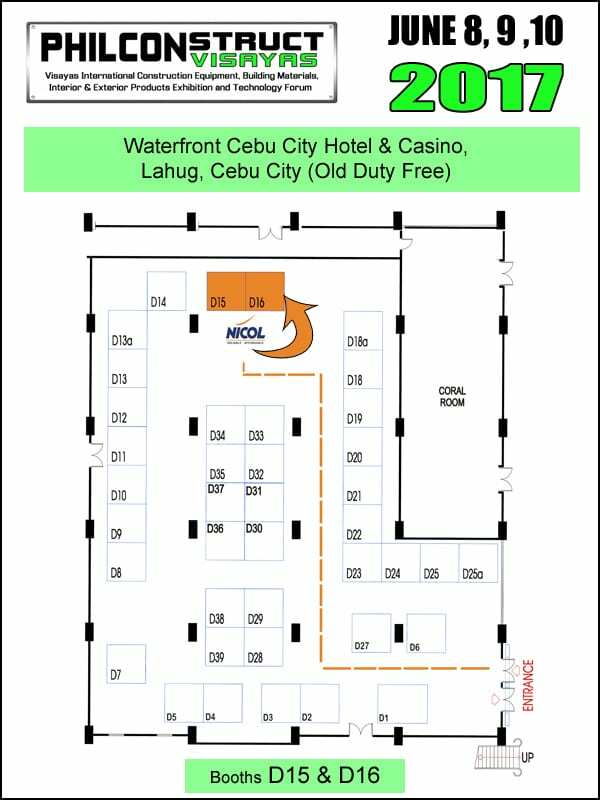 We are very thankful to SEAD, Inc. for inviting us again to their conference. 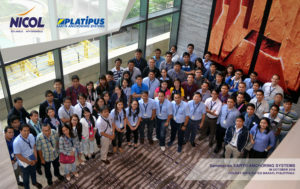 Thank you for making our PLATIPUS Seminar a Success! 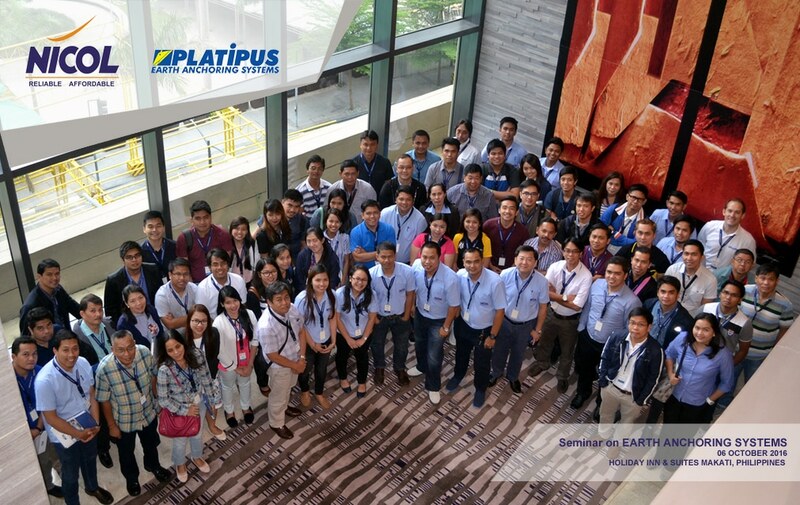 To all our Platipus Seminar Participants last 6 Oct 2016, thank you very much for attending! It was a big success, and your participation meant a lot to us. We look forward to working with you on your ongoing and future projects! 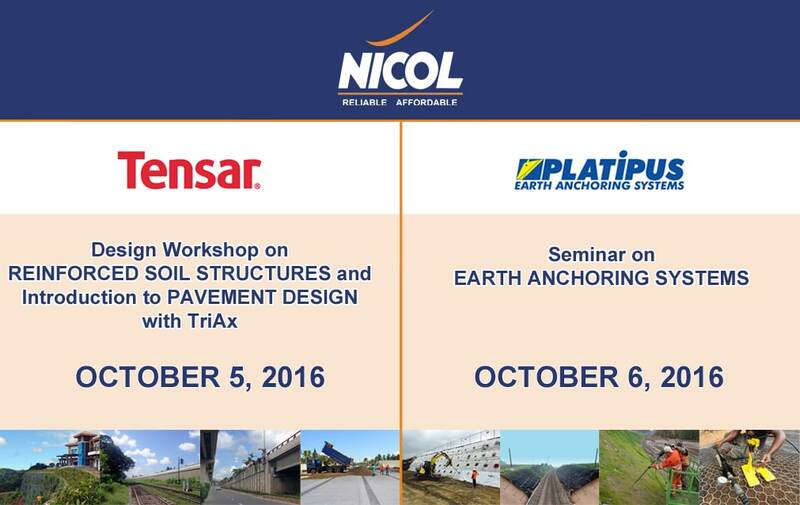 Thank you for making our TENSAR Workshop a Success! 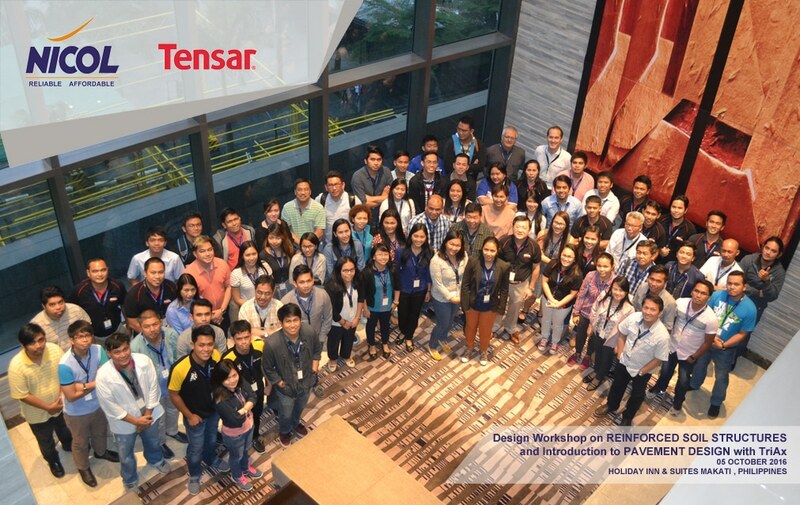 To all our Tensar Design Workshop Participants last 5 Oct 2016, thank you very much for attending! It was a big success, and your participation meant a lot to us. We look forward to working with you on your ongoing and future projects! It is an opportunity to gain and refresh our knowledge, experience and learn more on designing walls, catch up with the latest technological advances using the software and new system, meet and build business relationships and be more competitive using reliable and affordable products. With the expert knowledge of the professional speakers, this seminar will highlight the important goals to be globally competitive in the industry. 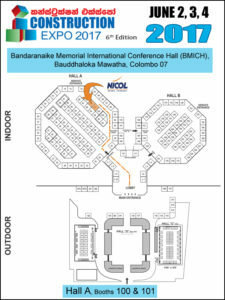 All of the sponsors have their booth at the conference. Our booth showcased our reliable and affordable products and innovative systems especially the geotechnical products which are effective solutions for civil works. Hundreds of engineers attended the conference and visited our booth. It is a pleasure for us to be invited by the President of SEAD, Engr. Allan Botuyan to be part of this event. FW Nicol is celebrating its 20th year Anniversary! 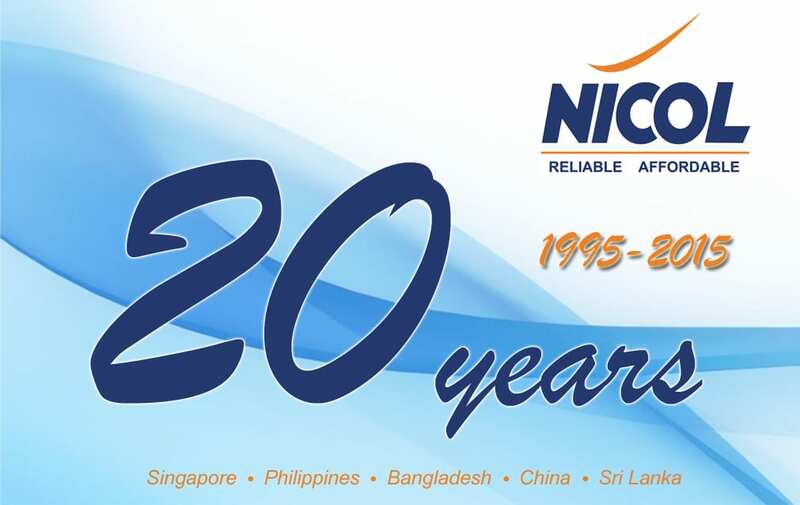 FW Nicol is celebrating its 20th Anniversary in 2015. 20 years of hard work, passion and determination brought us to where we are today. We started as a trading company and now we are doing design and construction. We never stopped investing in our ability to fulfill our customers’ needs. It all started in 1995 in Singapore and now we have offices in the Philippines, Bangladesh, Sri Lanka and China. FW Nicol Construction Corporation was established in 2014 to focus on installation and construction works. Our commitment to customers has remained our highest priority and the company has managed to maintain an image of innovation and quality with all the professionals it is dealing with. Being in the industry for 20 years is significant to us. We will continue to invest and develop products and systems which are reliable and affordable and new technologies which are environmentally friendly. We are forward-focused on the next decade and we have plans to deliver substantial values to our clients and innovation to the industry.